Amnesty International has accused the Nigerian government of not doing enough to curb the violence that has claimed more than 1,800 lives so far this year. By failing to hold murderers to account, Nigerian authorities are encouraging impunity that is fuelling rising insecurity across the country, said Amnesty in a statement issued yesterday, 28 June. “We are gravely concerned about the rising spate of killings across the country, especially the communal clashes between farmers and herders and attacks by bandits across at least 17 states,” wrote Osai Ojigho, Director of Amnesty International Nigeria. 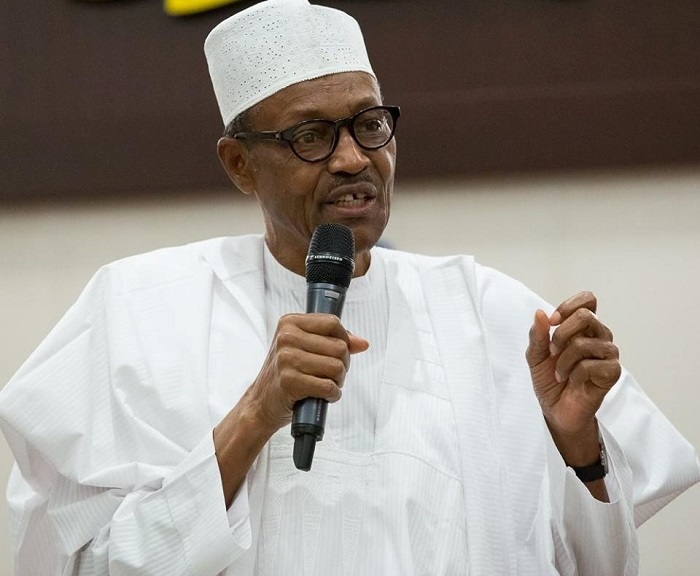 His statement, titled “Nigeria: Authorities failing to tame bloody killings”, was issued just four days after the recent violence in the central state of Plateau claimed over 200 lives. 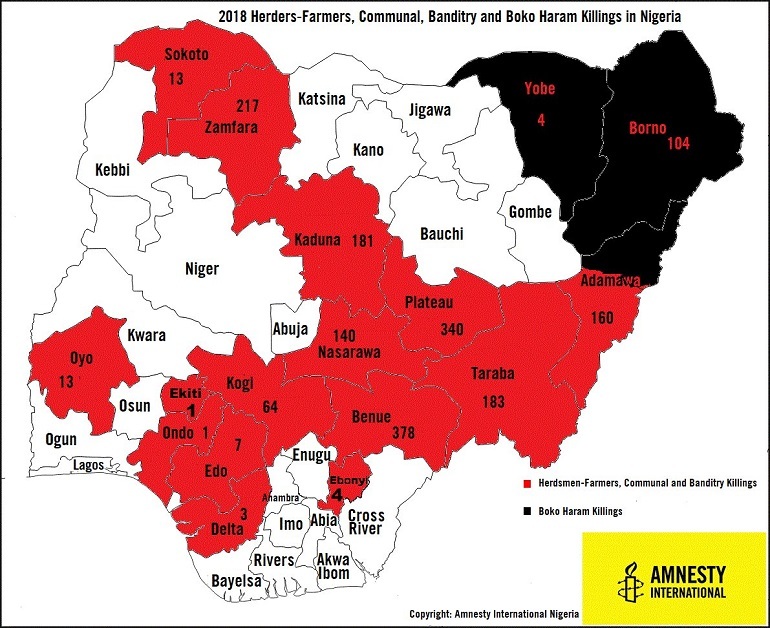 Amnesty released a map showing where the killings have taken place, with at least 1,813 people known to have been killed between January and June as a result of the so-called “farmer-herder conflict” or “communal clashes”, as well as Boko Haram attacks and other banditry. The figure, which included killings in 17 out of Nigeria’s 36 states, was almost double that of the whole of 2017, when 894 are known to have been killed. But as World Watch Monitor reported yesterday, the Christian Association of Nigeria has rejected the “farmer-herdsmen clashes” rhetoric, saying: “The killings are becoming no longer herder and farmer clashes” but a “deliberate attempt to conquer and occupy the land of the people’s ancestral heritage”. Amnesty also stressed the need to hold killers accountable. “Making arrests and bringing to justice those suspected to be responsible for these attacks is crucial in ending the killings that are gradually turning into almost a daily occurrence. In many instances these killings happen and no arrests take place,” Ojigho said. A Nigerian analyst, reacting to the recent sentencing of five Christian youths convicted of killing a Fulani herdsman, told World Watch Monitor earlier this week the verdict “should be understood in the context of the wider persecution of Christians in the Middle Belt region and beyond; it says a lot about the justice system in Nigeria. It is dominated by a particular religious group – non-Christians who are already tilted towards the support and implementation of a particular religious agenda. The system is designed to punish, exclude and marginalise Christians into submission”.